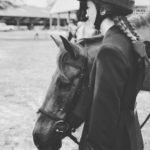 The Oldfield Equestrian team represented at the 1st of their show series this past weekend. The girls took home Champion and Reserve Champion in every division they competed in. JJ Stratman moving up a level on her horse “Take a Chance” with top 3 and Champion in her equitation division, which is judged (quite heavily) at how well the rider and mount is turned out, along with how perfectly they can handle jumping several rounds, along with even more technical questions in the medal classes. Equestrian employee and student Sarah Elliot dominated on “Willow”. “Willow” came to Oldfield at rock bottom as a severe starvation case from the rescue H.O.P.E., who sponsors the Sand Dollar series. H.O.P.E. 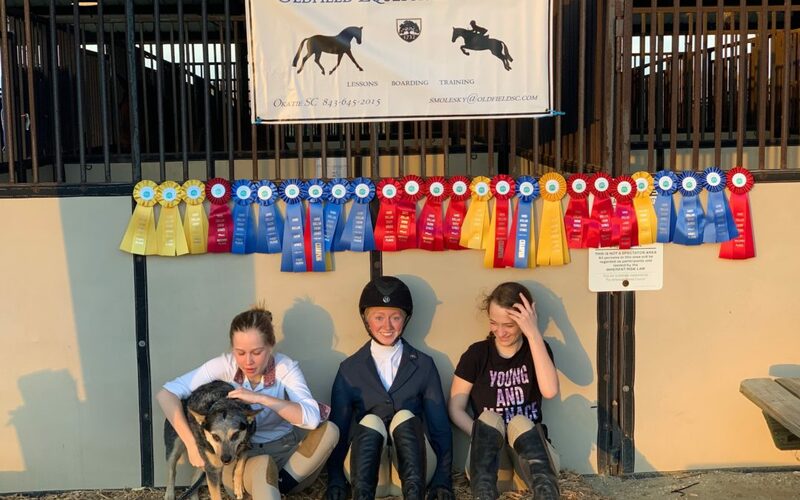 was able to witness the fruits of their labor as Sarah and “Willow” came home with more top 3 ribbons, Reserve Champion in flat and jumping classes, and then did a wonderful job showing in the medal and derby classes. 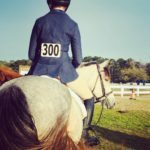 In medal and derby classes riders are asked to halt in the middle of a course, hand gallop a fence, sit the trot, or dismount. All of the girls competed in these classes and shined through and through! 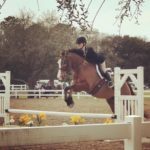 Long term leaser and lesson student Abigail Justice rocked the 2’ hunter rounds with “No More Citations”, a lesson horse with a famous race horse granddad. These rounds are evaluated by how evenly and rhythmically the horse can go around different jumping courses—Abigail and “No More Citations” came home with the Champion Ribbon! The girls are responsible for setting up the trailer and show stalls—keeping them neatly organized during the show—and the care of the horses during the 2 day process for a show. This is not an easy feat or light work, but the looks on their faces says it all at the end of the day—this is a lifestyle they proudly own! I could not be more proud to be a part of this lifestyle or family. The Equestrian Center is also gearing up for the annual Easter Egg Bonanza on April 20th. Tickets are $15 per Member and $20 per NonMember (children 3 and under are free)! The traditions continue with over 1,000 hidden eggs filled with all kinds of treasure, photo ops with a real Easter Bunny, the ever famous petting zoo, pony rides, face painting, bouncy house, Locals Supporting Locals raffle, breakfast bar, and a cash/member charge bar with Sangria and Bloody Mary’s. Nonalcoholic drinks are included in the ticket price. Tickets are available through RPaone@OldfieldSC.com. We are switching gears a bit with the raffle this year, and I am putting a call out to all of the local independent business owners for donations. This year’s event is based around supporting the hidden talents that make the Low Country so unique. We are seeking donations for the Easter raffle this year to raise funds for a covered viewing area and new jumps at the arena. With donations for the raffle comes advertisement for your business—plus any donation over $25 will include a FREE ticket to the event! For more information, please email SMolesky@OldfieldSC.com.